Initiating a large scale project to manage external workers and service providers that can be daunting. Once your team makes decisions about how to structure the program and which vendors to partner with, the real work begins. Whether you decide to manage your program in-house or through a trusted Managed Service Provider (MSP), a Vendor Management System (VMS) will likely be employed to automate and streamline processes and provide visibility into your flexible workforce. The implementation process often sets the tone for the VMS project’s success, and it is a critical element to achieving executive approval, user acceptance and third-party system compatibility. A VMS implementation depends on the project scope and business requirements. 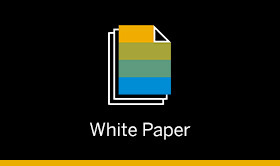 Whether the project is relatively simple or complex, the top five tips in this SAP Fieldglass whitepaper can help ensure that your implementation runs smoothly and accomplishes the expected goals, on time and on budget.